Anyway this tingles slightly and tightens my pores when I put it on, which makes me feel like its working, so I'll keep you guys posted if I see my acne scars fade noticeably over the next couple weeks! The Icelandic Relief Eye Cream is possibly one of the most luxurious things I've patted onto my under-eyes. The consistency is kinda strange and squidgy, it almost has a mousse-like texture to it, and it tingles a little as it goes on, but feels so refreshing. I was a bit bummed-out to put it bluntly at the teeny-tiny sample size, but I've barely made a dent in the product, despite using it every night for a week or two! I have my eye on a few Skyn products, but I might read a few reviews, as they come with a hefty price tag! Have you tried anything from the brand? I was really impressed with the quality of this brush, the bristles are so soft and nicely dense. I've so far loved using it to set my face with my new powder - The Body Shop All in One Face Base (thanks Heather for the recommendation). Look Good Feel Better is also a charity that is very close to many hearts, so I'm always keen to support, as profits do go back into confidence boosting classes for cancer patients. 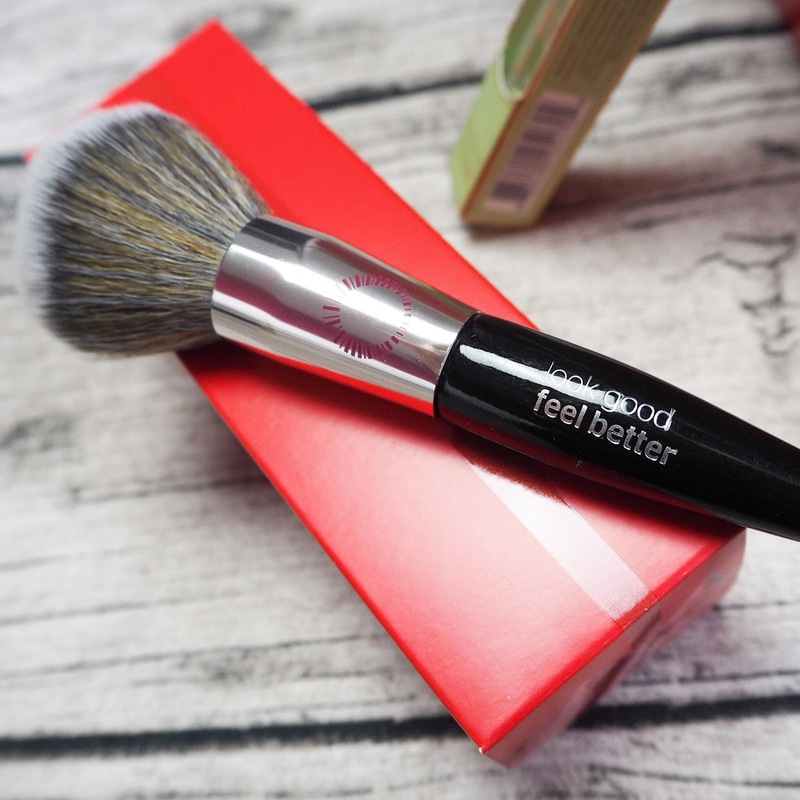 The brushes are also cruelty-free which is amazing too and really reasonably priced! I've been softening my 'Go To' brow look as of recently, opting for a nicely defined tail end of the brow, with more fluffy/wispy hairs towards the centre of my face, and the Brow Tamer has let me achieve that. It's a clear brow gel and it's great at holding brow hairs in place whilst still looking and feeling natural. I've tried a few really thick gels in the past, where yes, my brow hairs will not budge come rain or shine, but the hairs feel like they've been stuck together with eyelash glue - Not the nicest feeling FYI - Although my only complaint about this one is that I wish the brush was thinner so you could be more precise and coat more hairs, (like the Benefit Ready Set Brows brush). But no biggie, once you've worked it through the hairs it seems to hold them in place really nicely. 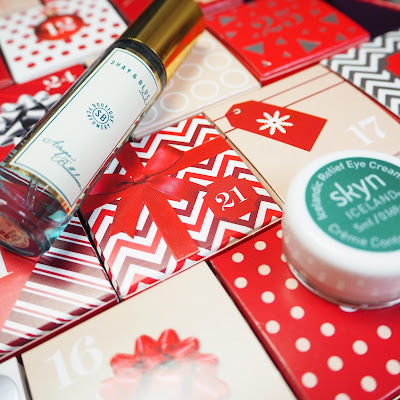 Did you get a Beauty Advent Calendar this Xmas? What were your favourite products? I've heard such good things about the M&S calendar, I will definitely be picking one up for Christmas 2017 as it looks like I've missed out! The liquid gold sounds like an absolute godsend, as does the Nuxe oil, even if I will look like Edward Cullen after applying it hehe! Thanks for sharing! Lovely post! Luckily as I was working in beauty PR before Christmas I managed to wangle myself The Body Shop advent calendar (for free!) yaaas. I was genuinely surprised with the quality, I got a little eyebrow brush and an eyeshadow brush and they are sooo soft. Will definitely think about getting the M&S one next year, you're the second person to say it's amazing! I am so jealous that you got this beauty calendar! I really wish I had bought it now while I had the chance, silly me. These all sound like great products, especially the Alpha H Liquid Gold! I'm really looking to revamp my skin care routine so I think I might look into this product more. 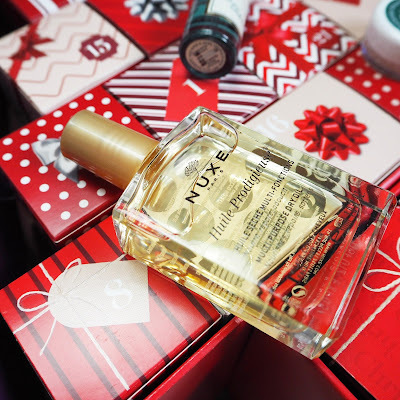 And I've owned the Nuxe oil for a few years now and I seriously love it! I love to use it on my skin and on my hair... really helps my dry ends. Ill have to check out your youtube when you start its exciting! I debated getting this calendar for ages and didn't unfortunately i may get this years one though considering how good it was! Aw this calendar looked soooo good!!! I'm definitely going to splash and spoil myself this year to a better beauty calendar. Everything you got looks amazing!!!! Personally love that they've supported an amazing charity like Look Good Feel Better by including their brushes too. 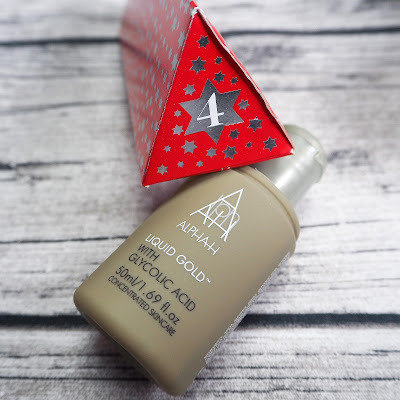 I have heard so many good things about Alpha H products - can't wait to see an update on whether the product has worked to fade your acne marks because it sounds like something I need!